Bagwell is a former American Baseball player. He is one of the most famous hot shots of his time. 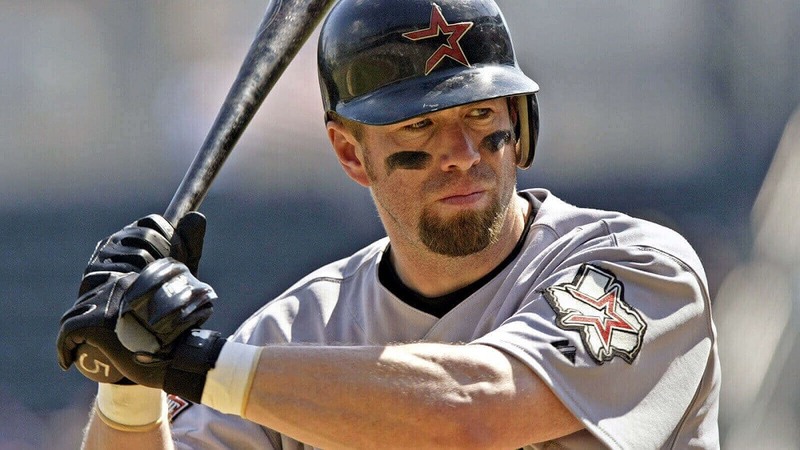 Bagwell retired with 2,314 hits, 1,529 runs batted in and 449 home runs. After playing as baseman for 15 years, he coached the spring training of 2007 at Astros but left in 2010 announcing that he would not return as hitting coach. His very first award was The National League Rookie of the Year in 1991. He then won the National League's Most Valuable Player (MVP) in 1994. He is a Four-Time Major League Baseball All-Star. He is also a recipient of Gold Glove. Well, these were some pretty well known Bagwell Facts. Now let's move on to some of the unknown or less known facts about Jeffrey Robert Bagwell a.k.a. Jeff Bagwell. Bagwell was a versatile athlete back at High School. During his teen years, he was an excellent soccer player. He was the one to set the school goal scoring mark. Apart from being an athlete, he is also a great person. In 1989, he was honored for his character and generosity. He received a scholarship from Bill Denehy, coach of the Hawks college baseball team in Connecticut in spite of baseball not being his primary sport. The use of PEDs also known as Performance Enhancing Drugs is strictly prohibited in any sports league or championship games. Jeffrey has never failed any drug tests during his playing career and there has been no eyewitness testimony to his usage of PEDs. Despite this, he addressed the rumors publicly. He explained that he was consuming a large amount of raw proteins and lifting heavily after his career in the majors began and that is the reason why he bulked up. He adds that he regrets bulking up to the extent he did because it shortened his career by attributing to arthritis in his right shoulder. BaseballReference.com estimates that Bagwell made over $128.13 million during his 15 years in Major League Baseball. But that not the end to his earning, after retirement he worked in various coaching/instructional roles with Astros. In early 2001, an explosive pain started to progress in his left shoulder for which he underwent a surgery to remove bone spurs and to reconstruct a partially torn Labrum. In late 2001, he also developed arthritis in his right shoulder, which gradually worsened and diminished his playing ability. But our man kept playing and hitting home runs for Astros and his fans. After the 2005 season, Bagwell received America's Lifetime Achievement Award and got retired in the year 2006. After undergoing surgery in 2001, his performance declined but not for long. In the year 2003, he again hit a total of 39 home runs. Jeff Bagwell is not only a true sportsman but also a very inspiring person. His spirit of playing even after suffering from crucial pain and surgery made him one of the most loved baseball players and also gave way to his recommendation in the Baseball Hall of Fame in 2010. Though he was not able to reach the minimum percentage of votes for 6 consecutive years, in 2017, he finally earned induction into the National Baseball Hall of Fame. He received 86.2% votes in his 7th year of the ballot. 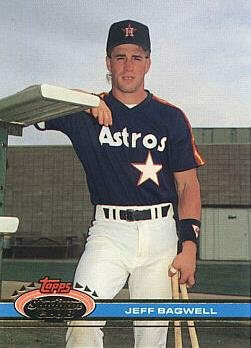 He spent his entire 15-year career with one team that is Houston Astros. In 1990, Jeff was traded by Boston Red Sox with Houston Astros for Larry Andersen, a relief pitcher. The trade is considered as the second worst trade in sports history. So, this was all about the Hall of Fame Jeff Bagwell. Comment down if you are a Bagwell Fan.